All bedding provided, just bring towels. £75 non-refundable deposit, deducted from your remaining balance. Balance due in full 6 weeks before arrival. 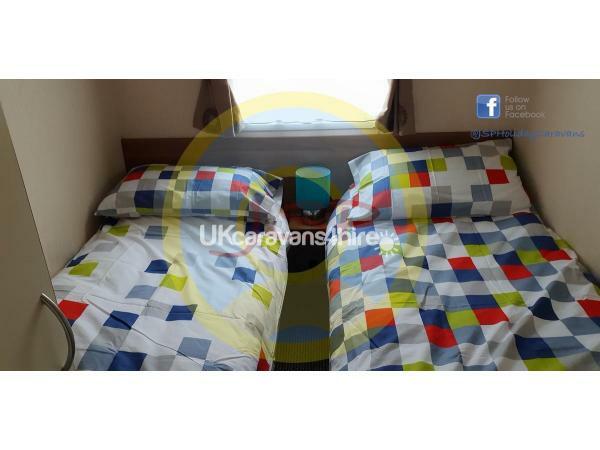 Bookings made within 6 weeks of arrival must be paid in full at the time of booking. Payment by PayPal or bank transfer. Please provide details of your party, I.e. number and ages of children. 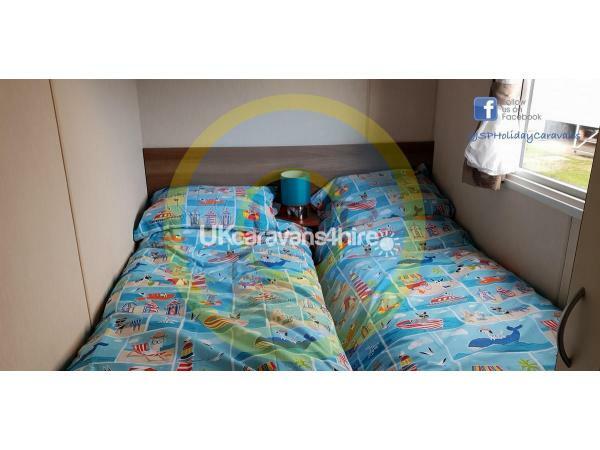 This well situated caravan will provide you with everything you need for a fantastic holiday. Robin Hood is a wonderful, magical camp for a child to spend fun-filled days with activities aplenty and exciting spaces. For the adults there are bars and cabaret shows. When the family comes together at mealtimes there is a restaurant for all to enjoy a meal and refreshing drink. Thank you so much for your review Carlos. We're glad you enjoyed your stay. Fabulous van had everything you could possibly need. Very clean and you can tell it’s well looked after. My boys loved the games and dvds that were in the van. Can not wait to return. Thank you very much for your review Amanda. We're glad you enjoyed your stay.